Yesterday was an interesting commute to work. 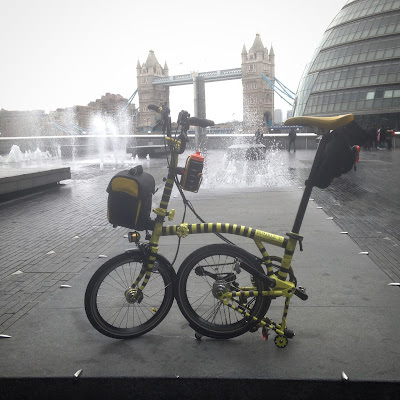 Had to fight a major head wind which isn't new to me & the legend but about a mile from work the front wheel felt odd. 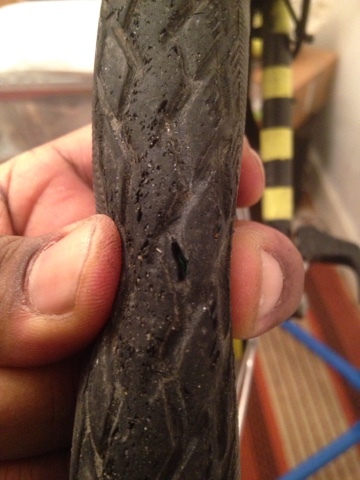 I had a look and I saw I had a slow puncture happening. Just about managed to get to work before it was fully flat & unriddable. 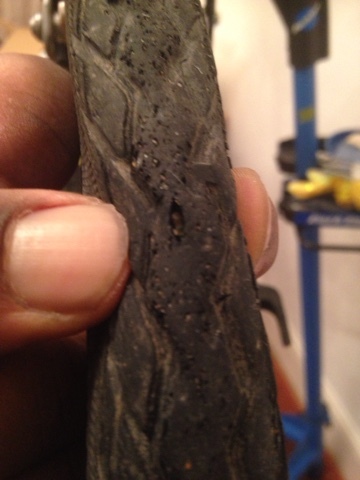 When I got home I had a good look at the tyre and I saw this. Yeah pretty bad. 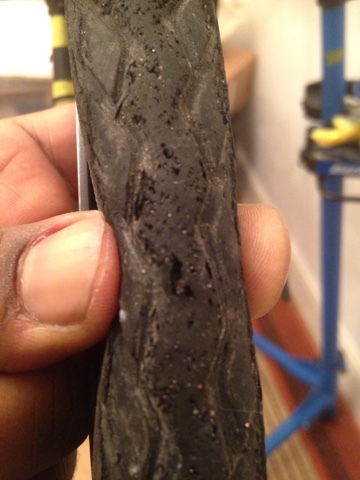 Pretty much shredded the front tyre with 6 deep cuts & looks like we've gone though sand paper to boot. 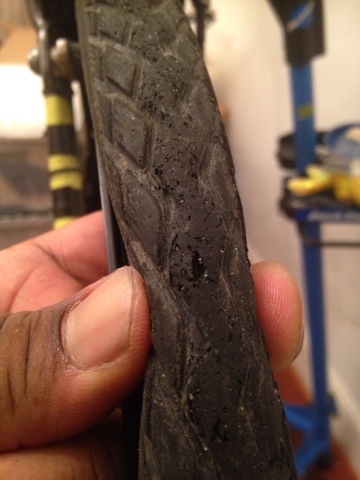 I don't remember going over anything as shape but 9 times out of 10 you hardly ever see what causes punctures to begin with. 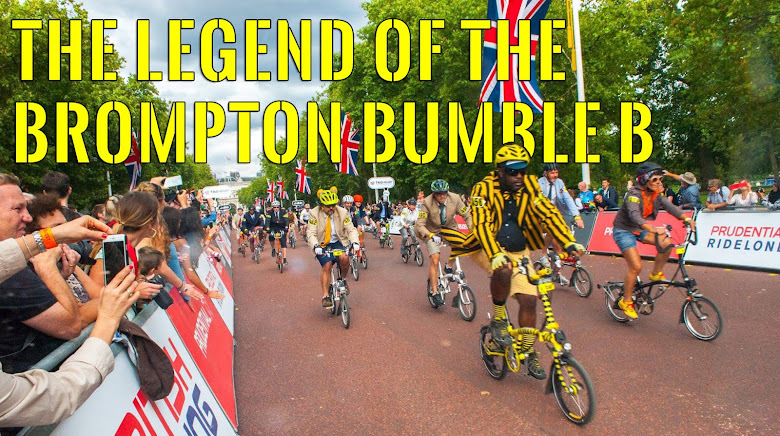 So BBB is off the road till I get some new tyres delivered from Brillant Bikes, which have been ordered since last night. Give schewble Marathon's a go again as I've have had 4 bad Marathon +'s lately. Sheesh! 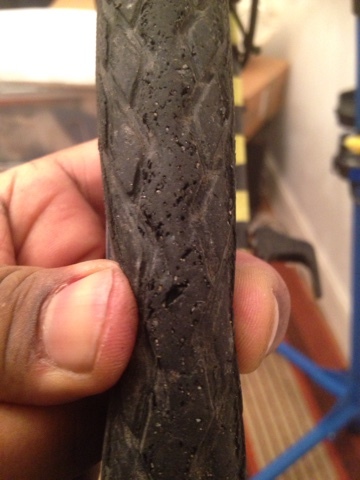 And I thought my tyres looked cratered when I changed them (mind you, with 4 punctures in 6 months I had reason enough, I reckon. Happy with the Marathon Plus's I'm currently using. 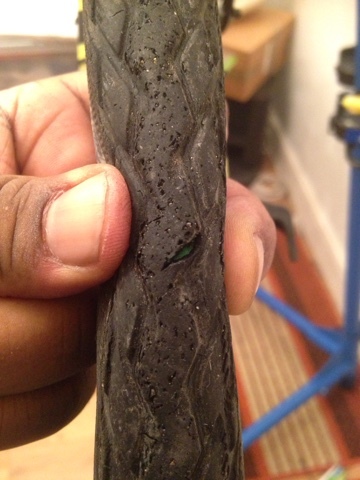 Even swapped the tyres on my partners B for M+'s (surprised he hadn't had a puncture yet himself)! Hope you have better luck with your next set.